Greg Grimes with Aquatic Environmental Services, Inc., designed and resided over the 2009 construction of a trophy bass fishing lake for Jeff Foxworthy in Georgia. This master planned lake was designed specifically for growing trophy large-mouth bass. Extensive habitat structure, ridges, brush, feeders, etc were carefully placed during construction. Once the lake was full the client had the lake mapped utilizing The Mapping Network’s lake mapping technology to reveal this unseen, underwater world. 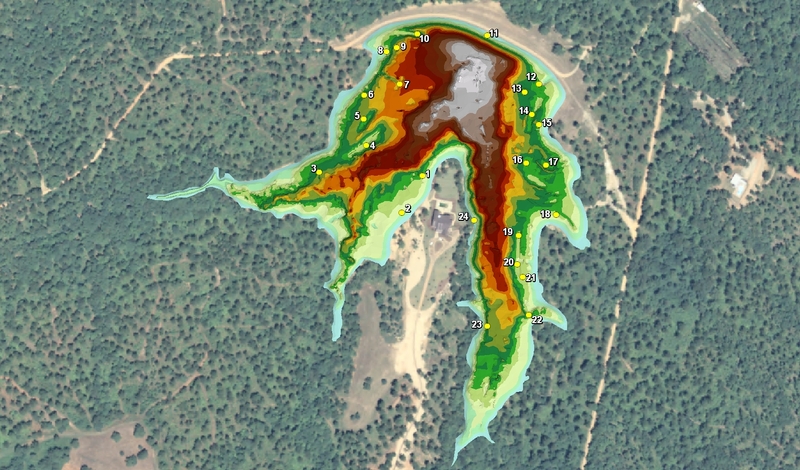 Combining sub-foot accurate equipment and depth accuracies of up to 1/10th of a foot, the resulting maps provided a picture of the bottom of the lake. Mr. Grimes was able to provide a map highlighting the ideal fishing zones in the range of 4 feet to 16 feet deep at 1 foot intervals. This lake map shows the angler exactly where the fishing hot spots are located on the lake. 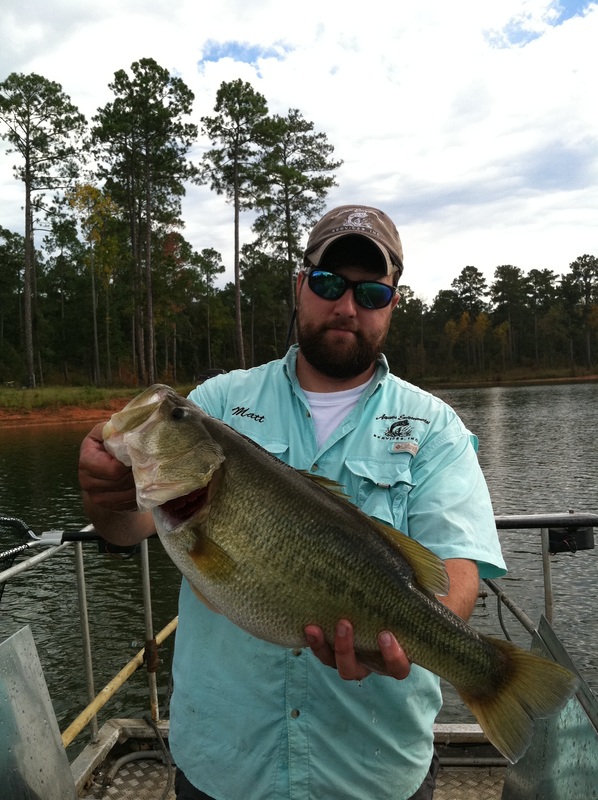 Just last week, Aquatic Environmental Services, took a fish survey of the lake and some of the 2 inch bass that were originally stocked in the lake (June, 2009) have grown into 7.5 lb trophy bass! What a great example of how a professional lake manager can use their knowledge and experience to produce world class results in a short period of time. Professional lake management company, Aquatic Environmental Services, has created an environment where trophy bass are prospering. If you are serious about managing a trophy fishery in your lake contact one of our lake mapping partners to provide the expertise to make it happen! This entry was posted in Lake Map and tagged Bathymetric Map, Dredging, Fishing, GIS, GPS, GPS Lake, GPS Map, Habitat, Hunting Land, Hunting Property, lake, Lake Management, Lake Map, Lake Mapping, Lake Survey, Land For Sale, Land Mapping, Sediment, Sedimentation, The Mapping Network, Waterfowl on October 20, 2011 by Moderator.